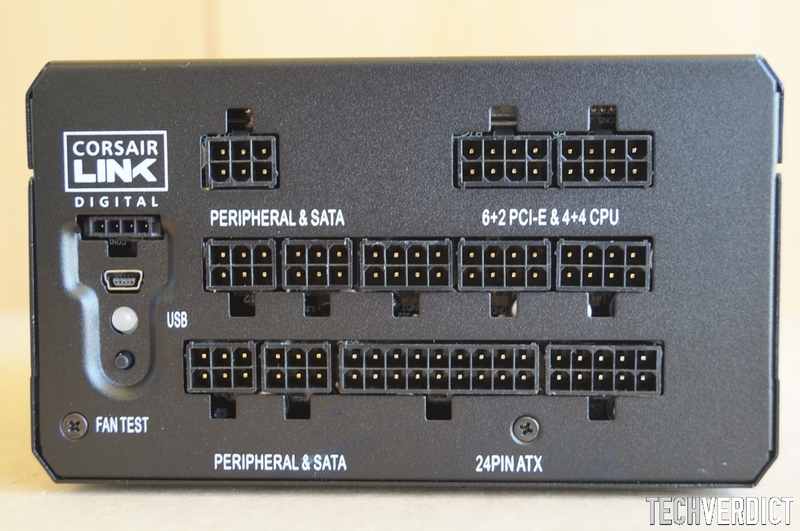 This power supply does pack a pretty decent number of features, features that you might not see in most other PSUs. So here is a quick run-down and my take on those features. Now some more interesting features. 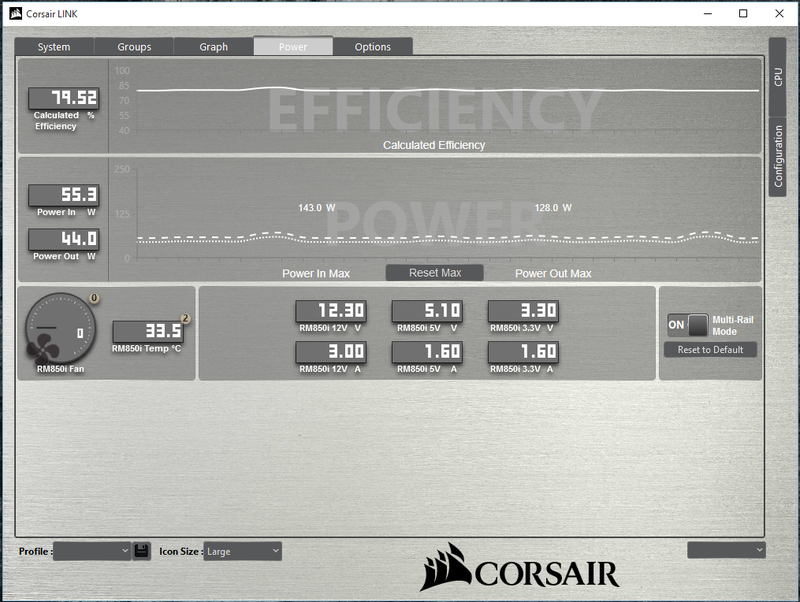 Since the power supply has pretty good efficiency, little heat is generated on lower loads. This lets them turn off the fan completely on lower loads. This is pretty cool imo as most of the time when your PC is idling or say your watching movies, the fan will remain switched off. The PWM controlled fan spins up once the temperature is above 40C. The 12v rail can be configured to work in either single or multi rail mode. Both modes have their own pros and cons, but for most users, both should be fine. By default though, the PSU works in multi rail mode. 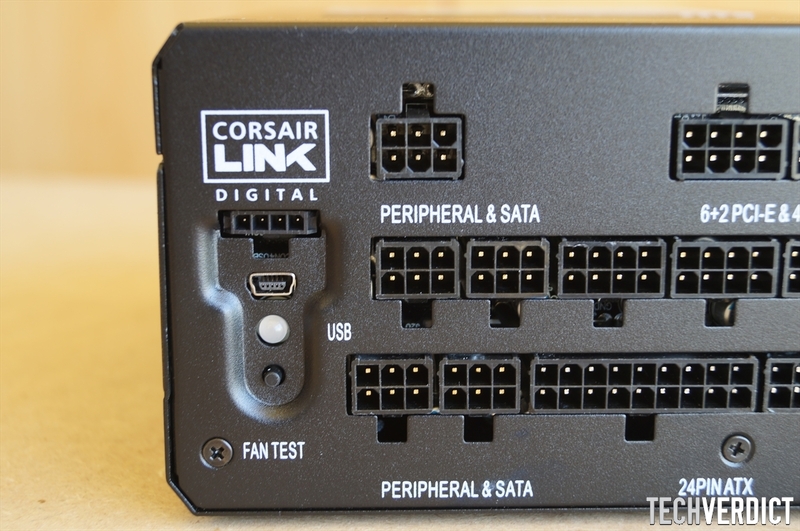 Last but not least, the power supply comes with corsair link capability. This lets you connect your power supply to your motherboard via a USB 2.0 internal header. 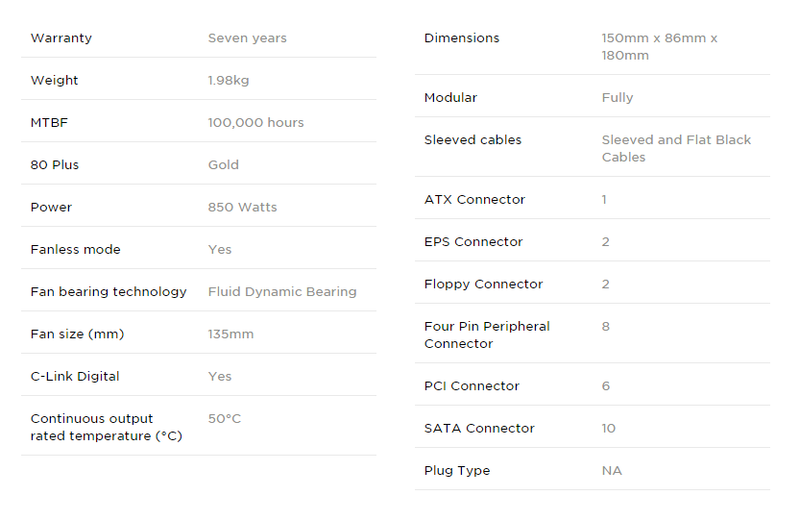 Once connected, you can now monitor power supply efficiency, power consumption, voltages, fan speed, etc. Pretty cool feature to have IMO. Oh, I almost forgot to mention, its a fully modular.